If there’s one element that defines the original Legend of Zelda, it’s freedom. Some might argue its central theme is either exploration or simply adventure, but neither exploration nor adventure are possible without a genuine sense of freedom. The Legend of Zelda does not coddle its audience. It rarely, if ever, points out to the player where they should go next, and the rare instances where players are actually met with a hint, said hints are almost exclusively vague to the point of being unhelpful. Progress is strictly on the onus of the player as every facet of The Legend of Zelda’s design stems back to an overarching theme of freedom. So much freedom can naturally make for a memorable experience, and often does in regards to The Legend of Zelda, but it’s a freedom that’s given at all costs. Even at the expense of the overall quality of the game. In a way, The Legend of Zelda’s freedom for freedom’s sake style of design ends up quite endearing. It’s easy to overlook its flaws simply because it offers something not many games did or do. Sequence breaking and tackling dungeons out of order are risky as they can often lead to roadblocks. At the same time, they’re rewarding since some dungeons just requiring entering and using all the tools offered within to clear. It’s an approach to level design wholly unique to the origin of the series as every game after would make an attempt at ensuring players either followed a rigid path or had all the tools at their disposal before tackling a new dungeon. With The Legend of Zelda, Nintendo gives players the freedom to fail at their own leisure. It is by no means an ideal attempt at design philosophy, but it’s one that feels consistent with the original Zelda experience. It is by no means a secret that Link can skip getting the Wooden Sword altogether at the beginning of the game, but the mere fact that he can skip it is worth dwelling on. This is a level of freedom that is detrimental in every way to the player. While it’s clearly telegraphed in the game’s first screen that Link should enter the cave roughly in front of him, there’s nothing explicitly forcing him to. Which isn’t to say he should be forced into the cave, but rather to comment on the trust Nintendo places on the player within The Legend of Zelda. There is an understanding in the game’s overall design- how levels are structured, where items are hidden, and the general geography of the overworld- that players will take their time exploring and check every possible tile should they find themselves stuck. Without a guide, getting stuck is simply an inevitability. Some dungeons don’t have enough keys within them for Link to clear them should he walk in with zero keys; some items and heart containers are obscure to the point of necessitating tedium to find them; and the constant need to bomb walls in the second half of the game means it’s very possible for Link to run out of bombs while in a dungeon, forcing him to find some way to restock, typically by leaving the dungeon and buying new ones. Hitting a wall in any game can be frustrating, but The Legend of Zelda makes it insufferable at times due to how free it wants the player to feel. It would be easy to say that the game’s design punished the ill-prepared, but, prepared or not, it’s entirely possible to enter a dungeon with a full stock of bombs and still need to leave because one too many were placed in the wrong spot. This is to say nothing of the fact that mandatory items are, too often, not actually mandatory to pick up. Gohma, the boss of Level 6, requires Link to have the bow and arrow to defeat it. While Link can pick up the bow in Level 1, he doesn’t have to in order to clear the dungeon. On top of that, arrows are simply purchased from shops, casting an ambiguity of whether or not they’re important onto them. In a worst case scenario, players will find themselves in seemingly impossible situations time and time again due to a lack of thorough exploration. Which is kind of the point when it comes to The Legend of Zelda. If a player is not willing to explore every inch of the overworld or every room in a dungeon, do they truly deserve to be rewarded with progress? 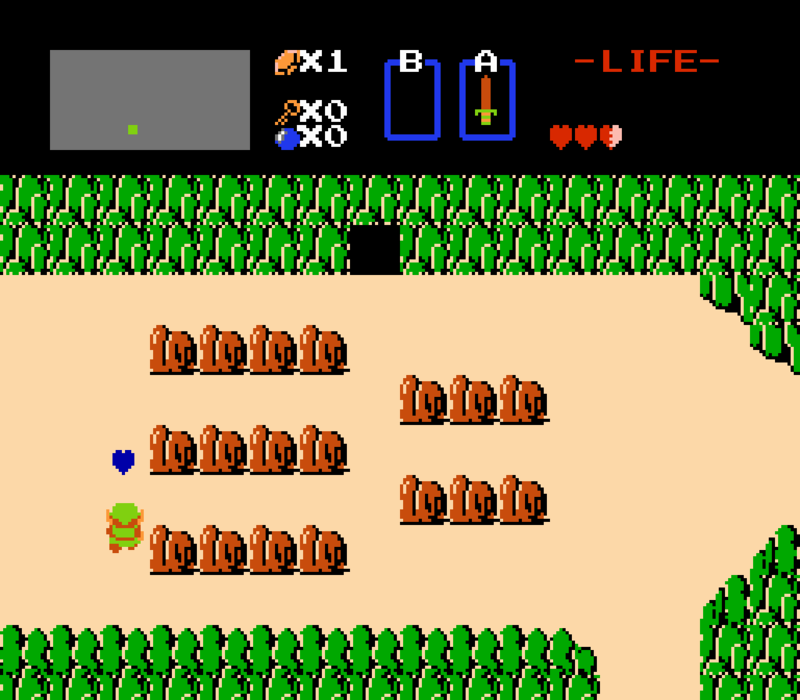 As previously mentioned, The Legend of Zelda establishes in its first screen a level of trust with its audience. Link isn’t told to go into the cave, but logic dictates he does so to make progress. Link doesn’t have to explore each dungeon thoroughly, but logic dictates he does so just in case there’s something truly valuable lurking in the depths. The Legend of Zelda never actually puts players into impossible situations, after all. It can be tedious to find an answer or need to backtrack, but that’s the price of genuine freedom. At least when applied to games developed in 1986. Even now, though, freedom in gaming needs to have a give and take. Progress is inherently a reward and not one that everyone is entitled to. Even though The Legend of Zelda is cohesive in regards to how it approaches freedom, however, that doesn’t absolve it from its failings or mean it deserves a pass. Dungeons should, logically, give players all the tools they need so they never have to leave. That’s just common sense. 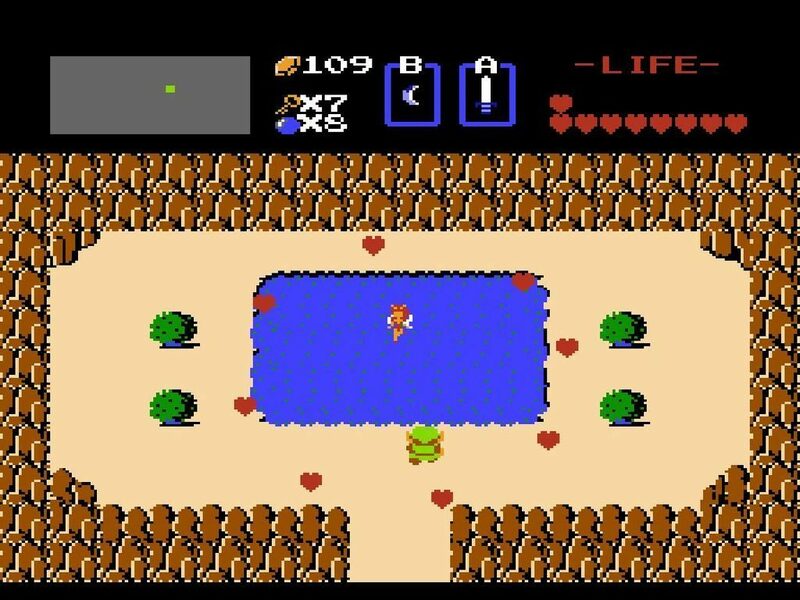 Whether it be placing keys in a coherent order or just offering a way to farm for bombs, there’s no real justification in halting someone’s progress mid-dungeon under the guise of “freedom.” When it comes down to it, The Legend of Zelda is not a game that could be made today because it is not a game that should be made today. In a way, though, that’s exactly where its charm lies. The Legend of Zelda’s flaws are so obvious that no game developer in their right mind would copy them to a T. At the same time, those obvious flaws are what gives The Hyrule Fantasy an added layer of grandeur. Failure, frustration, and tedium lure around every corner just as much as fulfillment, excitement, and pride do. Discovering a secret or finding a dungeon is exhilarating due to the mere fact that there was nobody helping the player find their way. There’s no tutorial, no waypoint, or no partner guiding Link. The only real tool guiding the audience is genuine intuition. No matter how frustrating or aggravating The Legend of Zelda can get, the reason it causes such an emotional reaction in the first place is that it commits to an idea of freedom at all costs. It is absolutely in detriment to the game’s overall quality, but a Legend of Zelda that didn’t embrace freedom so earnestly and haphazardly wouldn’t have a nearly as memorable origin for one of gaming’s greatest franchises. ‘I Trapped the Devil’ — But Now What?